South Suffolk Conservative MP Tim Yeo has been de-selected and will now not stand for the Tories in the 2015 General Election. 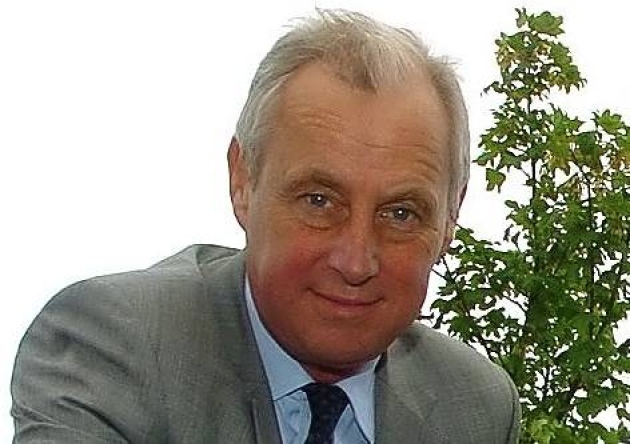 As reported a few weeks ago, Tim Yeo faced a re-selection vote by the entire Conservative Party membership of his South Suffolk constituency association after the Executive committee voted to de-select him back in November. The results were counted today at the Party’s London HQ and it was confirmed Mr Yeo had lost the confidence of South Suffolk members. He will now not stand again as their parliamentary candidate and as it is highly unlikely he will seek selection in another constituency his political career is over. “It has been a privilege to serve as MP for South Suffolk since 1983. I will continue to work for all my constituents until the General Election next year. “I am immensely grateful to all those Conservative Party members who voted for me to continue as their MP. I now ask them all to campaign for my successor with the same loyalty and dedication they have shown to me. Turnout in the membership vote was 82% but Conservative Party HQ will not release a breakdown of the figures. Suffolk Suffolk Tories will now start the process to select a new candidate to represent the Conservative Party at the next General Election, which is just over a year away. Local commentators are calling for an Open Primary but this may not go down so well in a traditional rural seat. Whichever selection model is chosen, the decision needs to be quick to ensure the candidate can get stuck into campaigning as soon as possible as the seat is not as safe as it once was. The Labour candidate, Jane Basham, is already out of the blocks and has been canvassing support for months. There could be an even bigger upset here come May 2015. Today’s news comes after another Conservative, Anne McIntosh, was de-selected by the members of her Yorkshire constituency on Friday. Tim Yeo’s de-selection is not just a blow to him (although his lucrative business interests boosted by his parliamentary position will undoubtedly soften his fall) but is also embarrassing to the Tory leader, David Cameron. The PM personally backed Mr Yeo during his fight to hang on to South Suffolk – the membership then duly told Mr Cameron what they thought of his man. Conservative Associations are no longer a reflection of the parliamentary party but more a representation of the true blue Tory who a lot of time find themselves disagreeing with their own party’s policies – such as gay marriage and more wind farms – forced on them by the metropolitan elite in Westminster. Many Tory MPs (especially the new intake of 2010) are canny at being able to play both hands: charming their members and agreeing with Conservative values in the constituency but once safely back in Westminster keeping the leadership onside by voting for policies which the same members never campaigned for. The problem with Tim Yeo is he was useless at the former and South Suffolk finally lost patience. Categories: Politics | Tags: Conservative Party, David Cameron, de-selection, South Suffolk, Tim Yeo MP | Permalink. 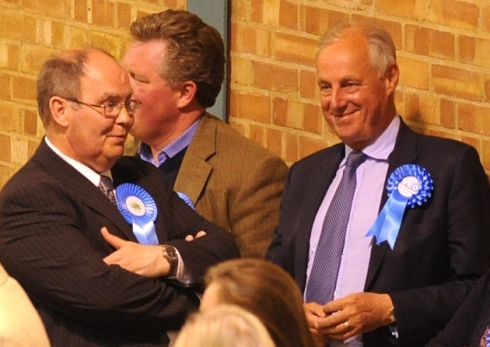 Conservative South Suffolk MP Tim Yeo, as expected amongst the commentariat, will appeal his deselection by the Executive Committee of his local Conservative Association by opting to appeal to all members of the South Suffolk Tory party. There will now be a full ballot of the local members with voting papers going out on 20th January. If there is a majority amongst the membership for Mr Yeo to be re-adopted as their candidate, the Executive Committee’s decision last month will become null and void and Mr Yeo will be re-selected as the Conservative candidate for South Suffolk at the next General Election in 2015. However, should Tim Yeo lose the membership ballot, he could still decide to put his name forward once the local party begins proceeding to select a new candidate – but having been booted out twice by then, that is unlikely. Categories: Politics | Tags: Conservatives, Peter Burgoyne, South Suffolk, Tim Yeo MP | Permalink. UPDATE: It would seem that going to the full membership of the local party for a final decision on Tim Yeo’s fate is not a foregone conclusion. Yeo has the right to this vote but he has to trigger it as a form of appeal and according to his agent, Peter Burgoyne, he is weighing up his options. Ongoing. Last night the Executive Committee of South Suffolk Conservative Association deselected their sitting MP of 30 years. Yeo will now be subjected to a full vote of the local party membership before any deselection becomes final but he may be weighing up his options this morning and decide to call it a day before a second round of humiliation. Mr Yeo’s deselection comes on the back of a parliamentary standards investigation into his business interests and their affect on his role as chairman of the Energy and Climate Change Select Committee, which found there was no case to answer. It seems South Suffolk Tories had other reasons to deselect their MP with rumours abound Mr Yeo was not giving adequate attention to his constituency. Categories: Politics | Tags: Conservative Party, South Suffolk, Tim Yeo | Permalink.